Thoroughly combine juice, liqueur, gin and syrup. At service, add a block of ice and pour in an entire bottle of Michelle Brut Rosé, stirring gently to combine. 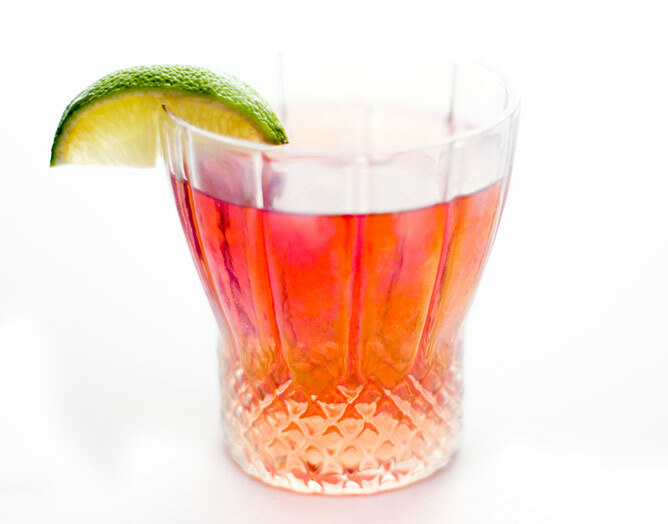 Garnish glasses with a lime wedge.